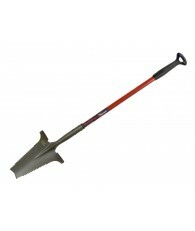 Sturdy trowel rips through roots and difficult soil. Lifetime Guarantee. 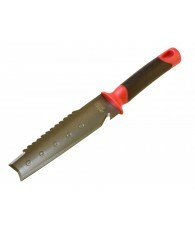 At Radius Garden we are pretty finicky about trowels. 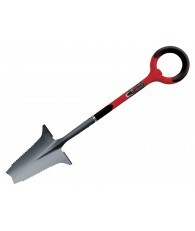 After all, the company was founded on a design for an ergonomic trowel, the Natural Radius Grip trowel. 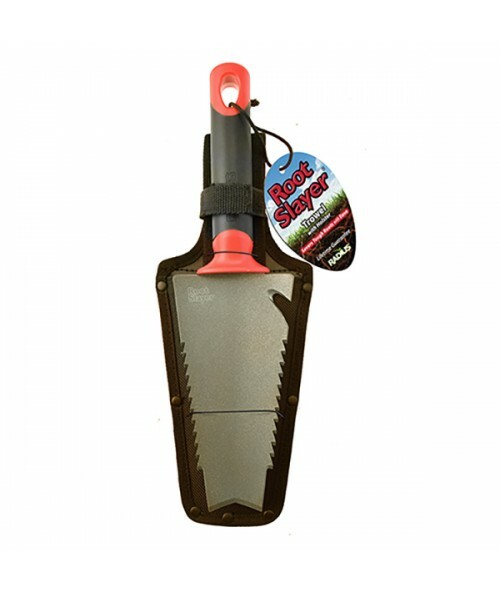 As I was bending over my raised bed one day last spring struggling to transplant some deeply rooted herbs I had the thought, "I really wish I had a trowel that was as easy to use as the Root Slayer Shovel." Within a week, the designed was completed. 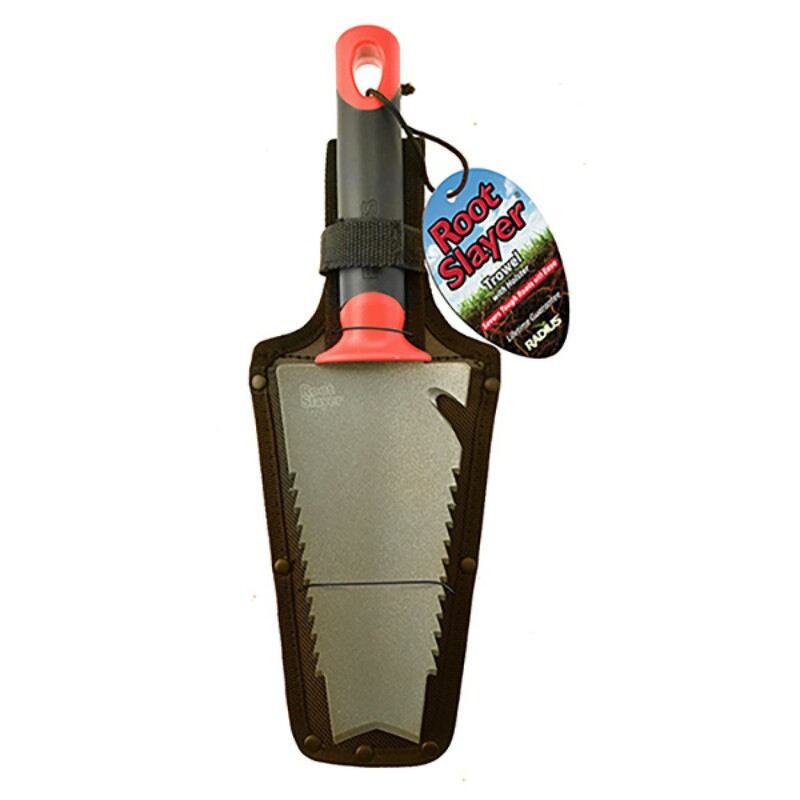 We developed a new flared handle for extra comfort, adapted the Root Slayer Shovel design as a trowel, and added a twine cutter notch that doubles as a bottle opener. 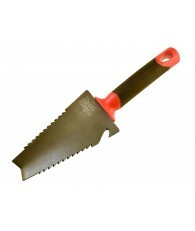 I can tell you from experience that the trowel works like a dream, not only for gardening, but also for opening craft IPA's. 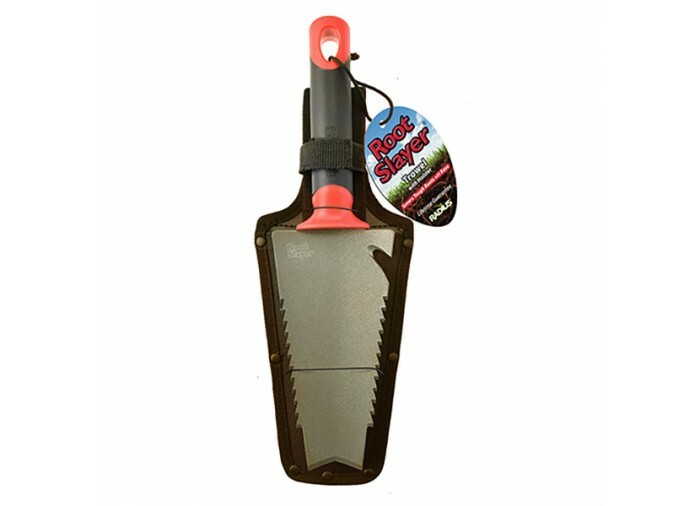 You'll never find a sturdier trowel to rip through roots and difficult soil. Strap the holster over your belt so you always have access to this handy tool. Lifetime guarantee.